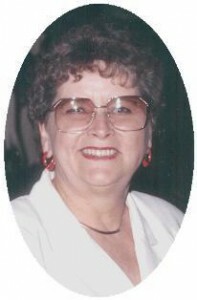 Virginia M. “Ginny” Kartheiser, 75, of E. Monroe Street, Port Washington died Sunday, March 18, 2007 at Columbia St. Mary’s Hospital. Ozaukee Campus in Mequon, Wisconsin. She was born October 8, 1931 in Milwaukee, Wisconsin to Albert and Margaret Sheldon Millen. On November 8, 1947 she married Oliver “Ollie” Kartheiser of Lake Church at Sacred Heart Church in Milwaukee. After 10 years of marriage, they moved to Port Washington where she worked for the former Reinhart’s Ski Haus (Marine) in Mequon as a buyer and sales. She also worked for JC Penney at Northridge Mall and Ener-con of Grafton. She had also volunteered at the former St. Alphonsus Hospital Auxiliary. She is survived by her husband, Oliver, son Jim (Nancy) Kartheiser of Germantown, two sisters Julie (Gene) Schoessow of Racine, Alice Green of Goldsboro, NC, her brother George (Janet) Millen of Tillatoba, MS, brother-in-law John (Audrey) Kartheiser of Sun City, FL, nieces, nephews, other relatives and friends. She is preceded in death by her son, Oliver, Jr.
Family services were held. Final interment at St. Mary’s Cemetery, Port Washington. Memorials to the American Cancer society appreciated.